So, recruitment is not a simple but essential part of the organization, therefore, it is important to have technology’s support for the enchantment of effectiveness. 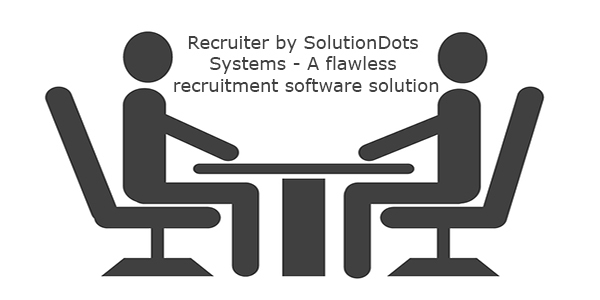 Recruiter by SolutionDots Systems is a software solution to support and improved complete recruitment process its features has enhanced the user friendliness and data accessibility. It allows the recruiter to post a job with the complete description of their required candidate. It will efficiently and automatically manage the interaction with candidates. Automatically track the candidate throughout the process of recruitment. Manage complete data including candidate conversation and management feedback on one platform. Maintain a list of right or potential candidate. Jobs automatically share to all social media platform. Recruiter by SolutionDots Systems is a comprehensive solution for recruitment department for smooth and organized workflow that enables the visibility of whole procedure.